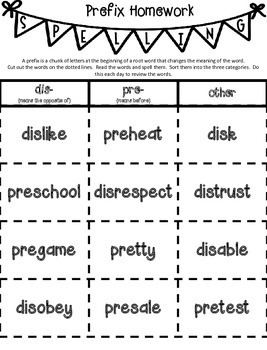 Differentiate your instruction while teaching about words with the prefixes dis- and pre- with this packet of activities! 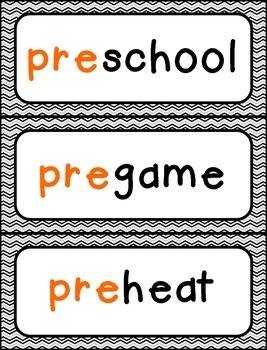 Included are home and school word sorts, as well as writing activities, for 2 different word lists of varying difficulty. 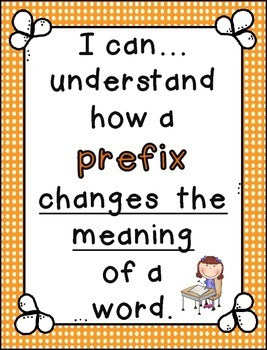 You will also find templates to create a flower prefix craft to review the prefix words. After practicing the skill, assess your students' learning through an included word work check sheet. 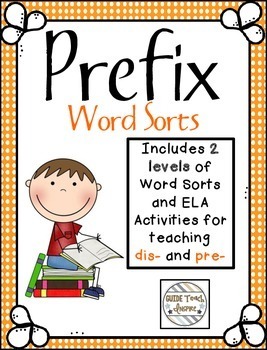 THIS PRODUCT IS ALSO INCLUDED IN MY DIFFERENTIATED WORD SORT BUNDLE, WHICH IS AVAILABLE IN MY STORE! THE BUNDLE INCLUDES TWO OTHER DIFFERENTIATED WORD SORTS.